If you’re running a small-to-medium-sized business, or even a startup, chances are you have thought of adopting Hyperconvergence or using it as the main operating system for your IT infrastructure. Your IT manager might even have explained the function and benefits of the software with you, and asked you to consider a purchase. The popularity of the solution is hard to dismiss and its increasing mention among your colleagues is equally tough to ignore. They describe it in glowing terms as the most cost-effective and fastest way possible to make data centers more efficient and competitive. The trades even refer to Hyperconvergence as “the next wave of virtualization” or “the future of the IT system.” You certainly don’t want your organization to be left behind, and certainly not by the competition. But jumping on the bandwagon is not a good reason to invest time and money into a solution that will transform your system. Neither is upgrading your infrastructure for its own sake. There are several factors that do point out the relevance of Hyperconvergence to both your business and IT requirements, at a particular point in time in the growth and evolution of your company. Your business is expanding beyond what your current IT staff can handle, and you need to scale up fast while making do with your limited resources. 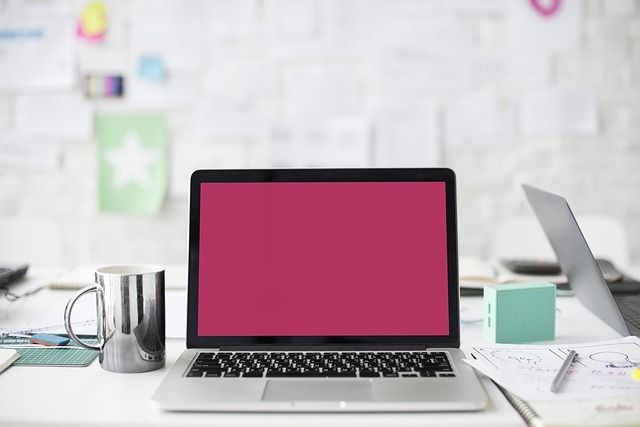 Small Business estimates that the IT department of a typical SMB in the United Kingdom has about one to four IT employees, including the manager. U.S. companies likely have the same number. Regardless of their technical brilliance or depth of experience, four people will not be able to manage the amount of data streaming in, check that all processes are working according to schedule, and that all devices are performing free of the risk of a breakdown. Hyperconvergence assumes many of their responsibilities and tasks by integrating the most important parts of a data center, like nodes, servers, and storage, into one virtual environment. The myriad details and layers that tend to add complexity to the running of a data center are simplified for a small IT staff who now finds it easier to manage the workload. Your head office has many data centers, branches, and units that are based in different locations. Hyperconvergence virtualization again reduces into a manageable scale the immense tasks of monitoring, checking, and addressing the needs of multiple work environments. Let’s take as an example a retail company that has three other stores which are within hundreds of miles’ distance of each other in the same state. Traditional IT legacy will have each office employ its own server, storage, network, and other components that will be supervised by its own unique skeletal staff. Hyperconvergence transfers all of them into the cloud, the software, and the virtual equivalent of the hardware. One IT manager, based in the head office, then can use the Hyperconvergence solution to monitor the progress of the work that is being done in all the branches, as well as the head office. If any issue needs addressing, he does not have to visit the concerned branch miles away, but can perform remediation right in the comfort of his own cubicle. You need to scale but your resources can only allow you to do it gradually. Granular scalability is the secret that enables Hyperconvergence to scale SMB’s, but at their own pace and according to the capabilities of their finances or their resources. Upgrading and expanding traditional IT equipment, hardware, and software take a significant amount of funding. The simple act of buying more computers and servers might necessitate altering the office’s floor plan which would entail more cost and possible relocation of staff in the affected area. Hyperconvergence is built on one appliance that operates different clusters in a virtual environment. It can be expanded by simply adding more nodes that can take in more apps. The IT Manager can plan out the expansion of the IT infrastructure gradually, first by simply buying the apps or solutions that can take it to the next immediate level. Scalability does not have to be immediately done on a grand scale, which would demand upfront costs. No additional monies would have to be allotted for renovating any part of the physical office just to accommodate new hardware equipment. If your business is in any one (or all) of these transition points right now, then Hyperconvergence would be a wise investment that can boost its performance and elevate it to a higher playing field.